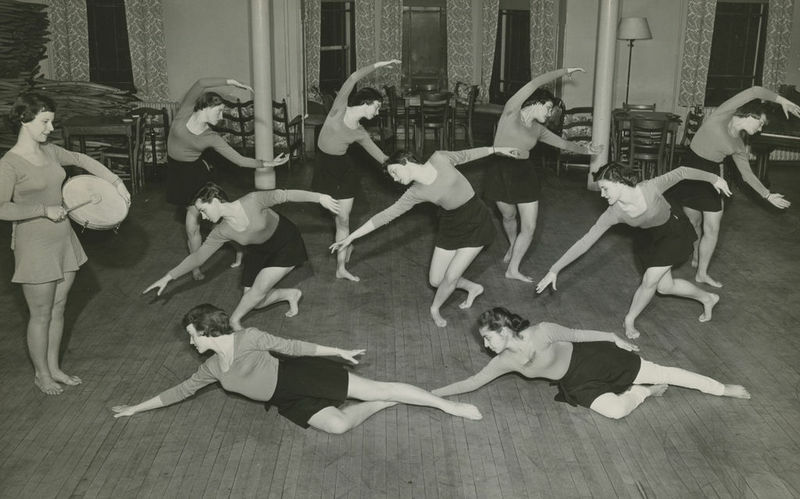 A 1950s dance performance of Wilson College's Orchesis dance troupe, including nine dancers in different poses and a student playing a drum. Wilson College (Chambersburg, Pa.), “Group performance with drum. ,” Hankey Center & C. Elizabeth Boyd '33 Archives, accessed April 20, 2019, http://exhibits.wilson.edu/items/show/1545.